The AGH676S-4 is used for coupling the ISOMETER® IR420-D64 to 12 kV-AC systems in offline mode. 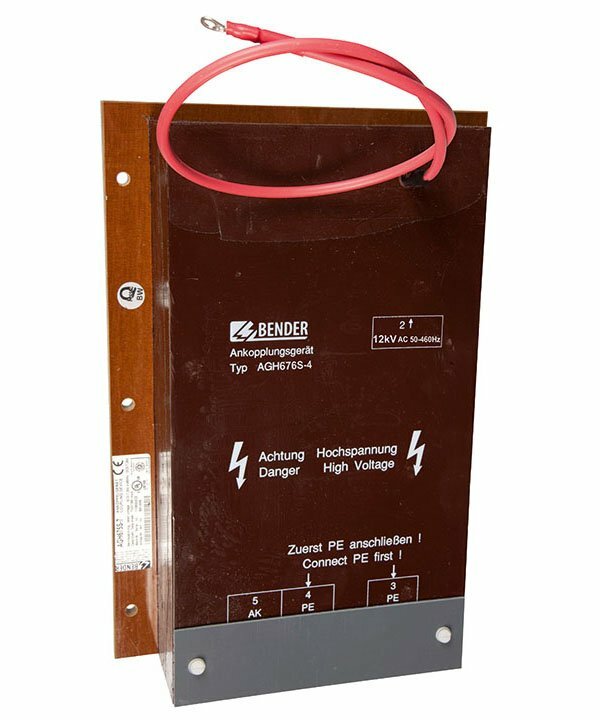 Alternatively, the AGH676S-4 can be used in combination with iso685…, IRDH275-4xx or IRDH375-4xx for 12-kV-AC systems in online mode. The coupling device must only be used in combination with the ISOMETER®. All device combinations listed above are not suitable for systems containing converters.